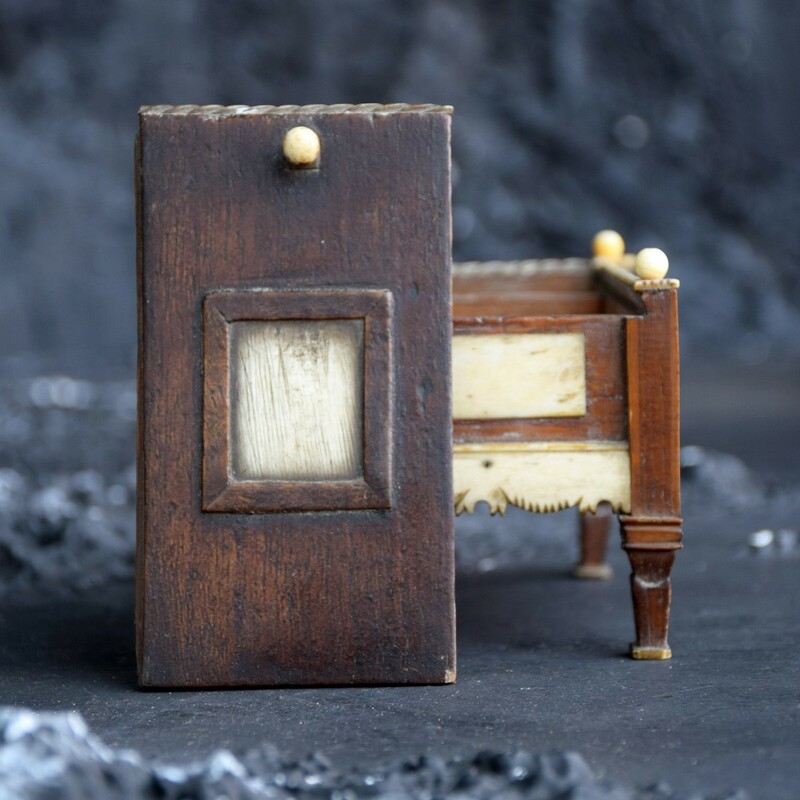 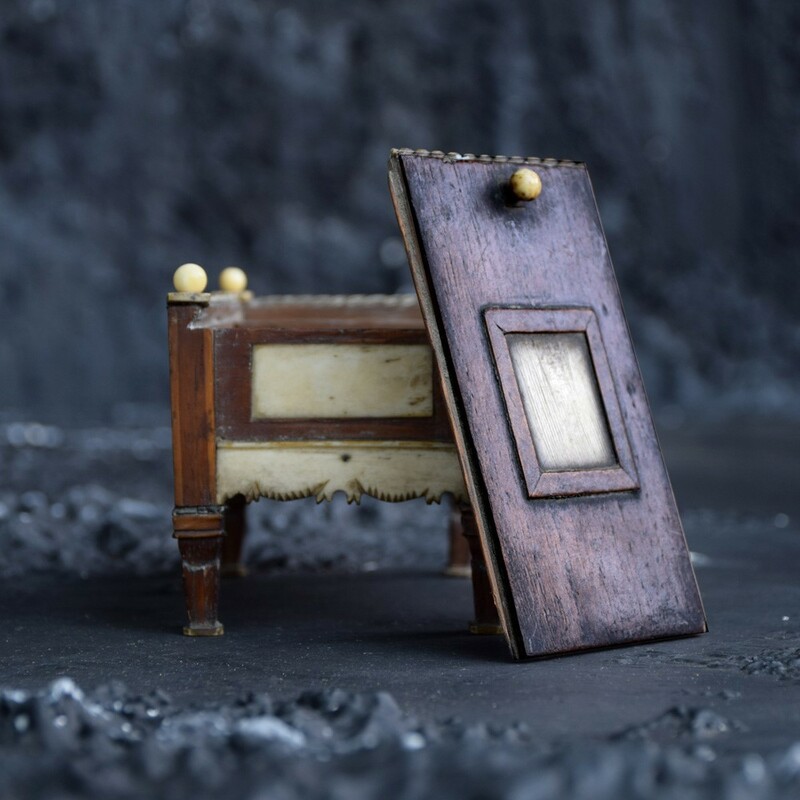 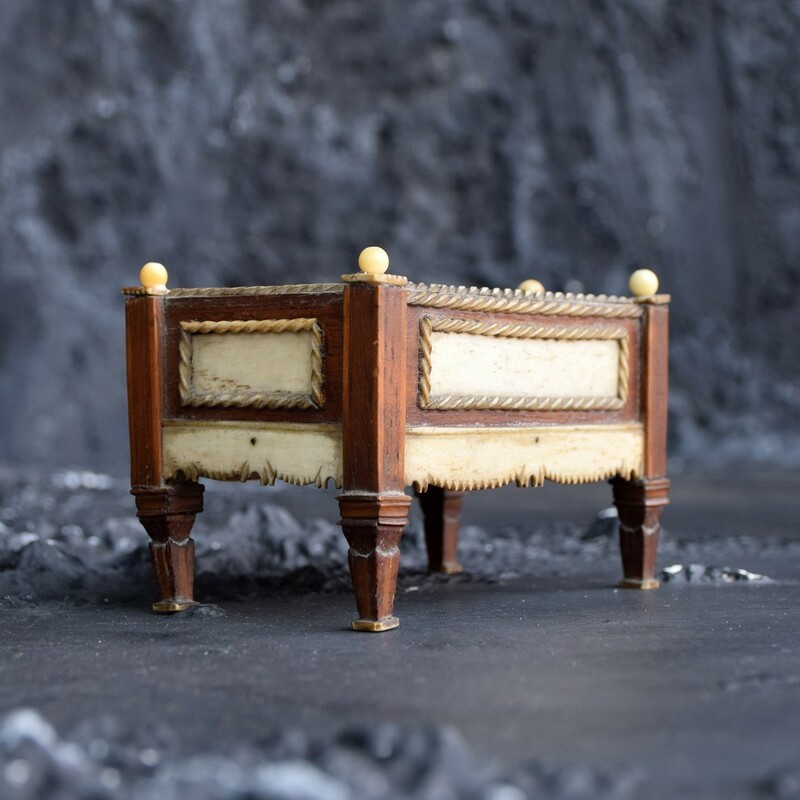 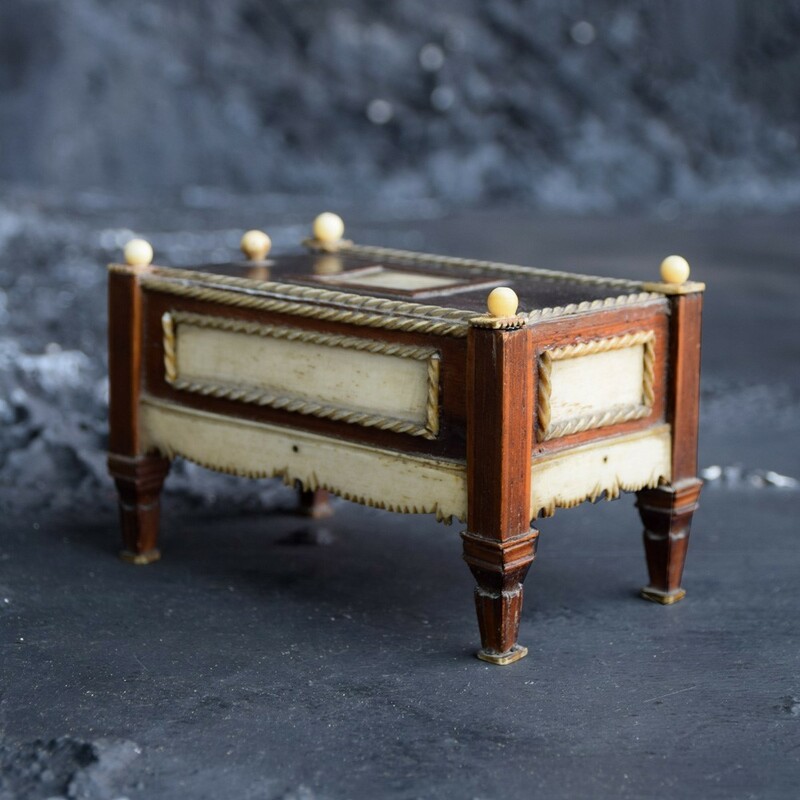 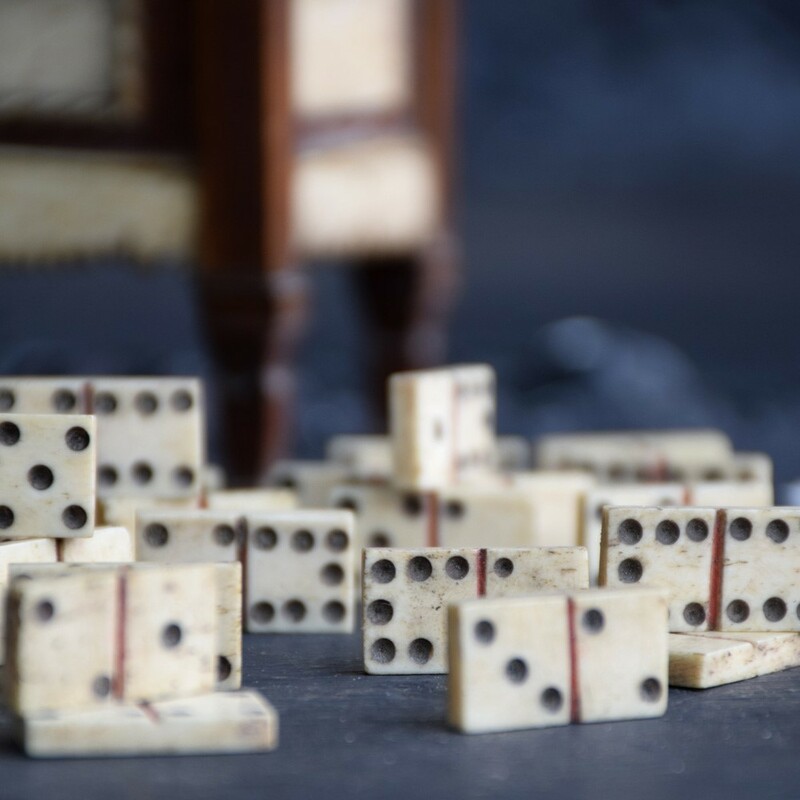 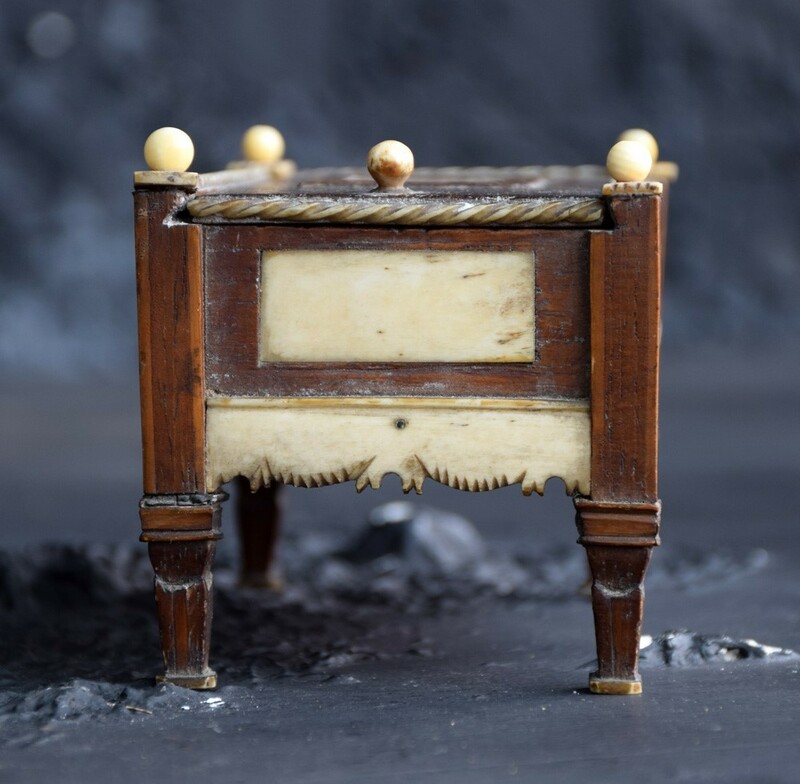 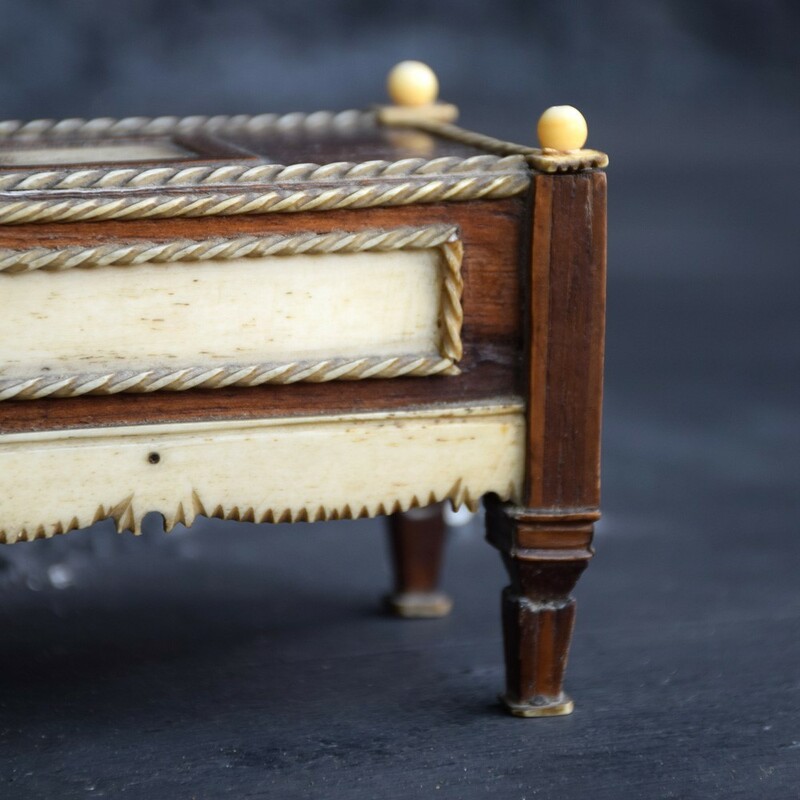 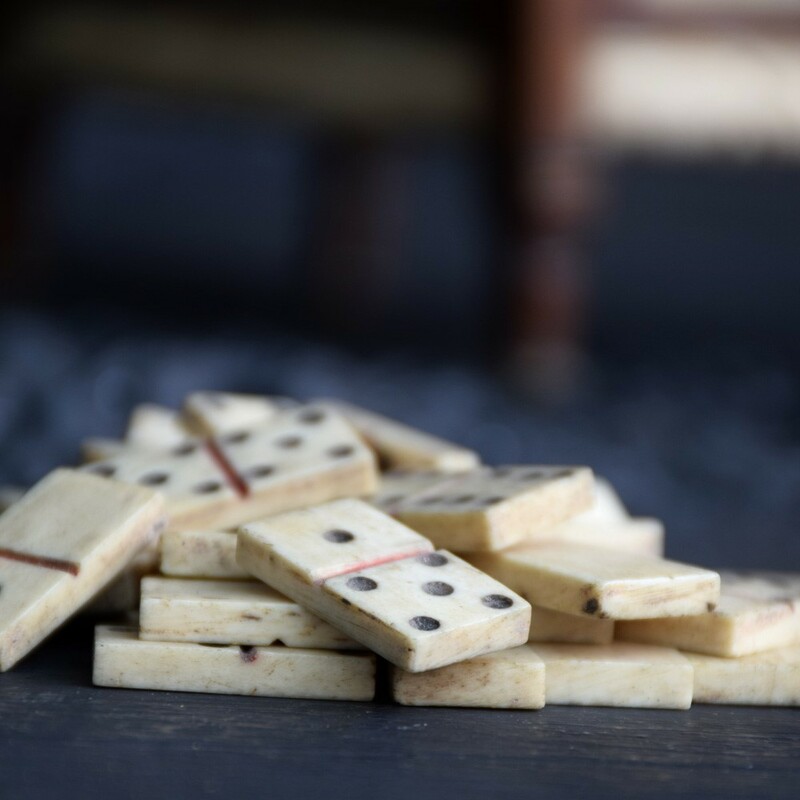 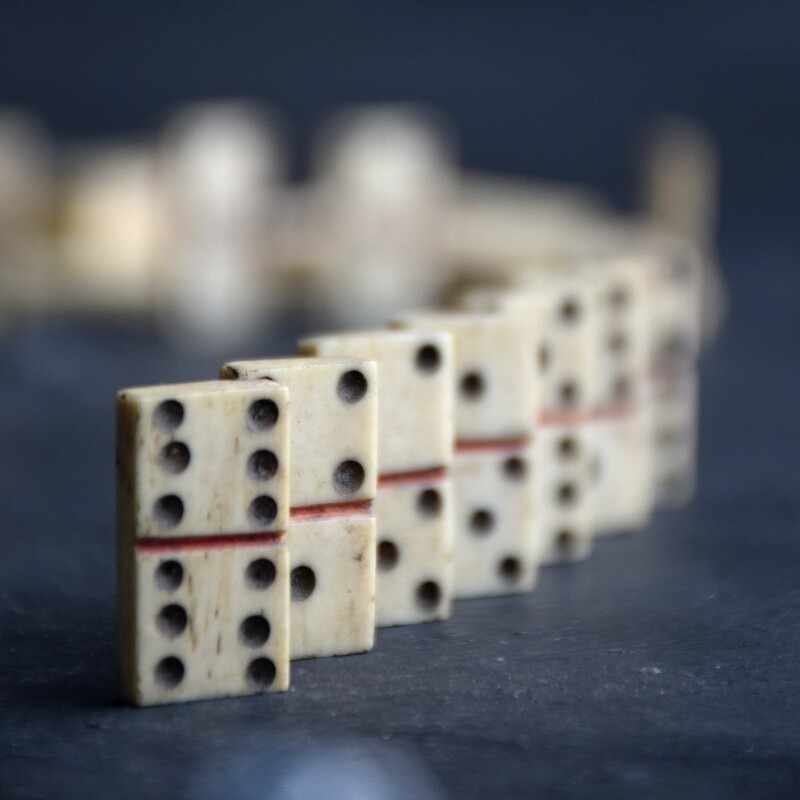 We are proud to offer a most unusual and rare early 19th Century Napoleonic Prisoner of War bone and wood domino game, with its original box and lid taking the shape of a piece of French Empire furniture. 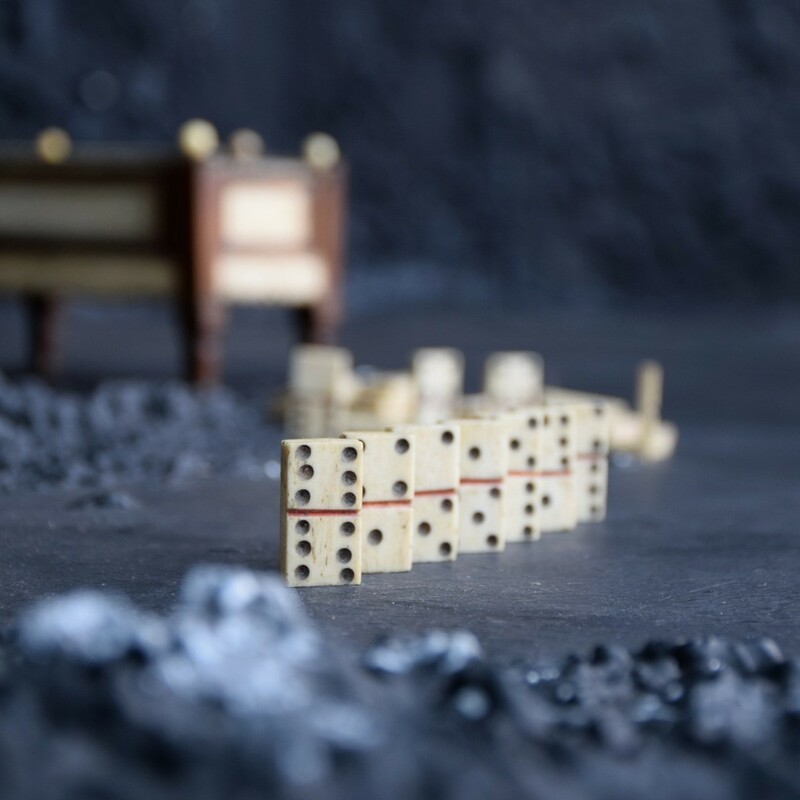 The box with sliding lid and craved bone rope twist ornamentation housing a selection of bone dominos. 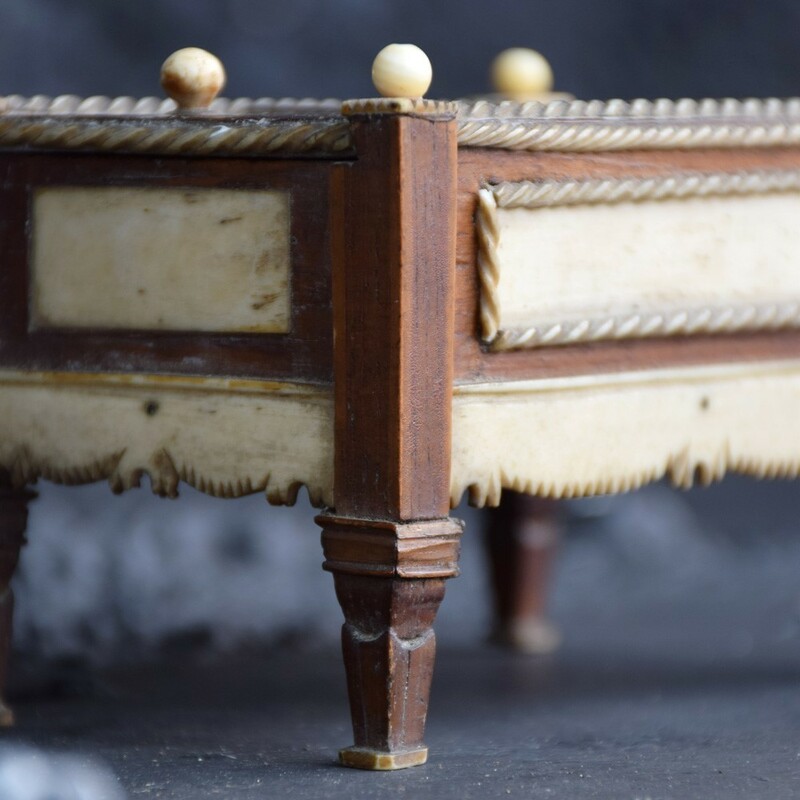 Highly collectable, unusual in form and overall wonderful condition for its age.